Lots of people are jumping into the #fridayfiveminutemap and posting phone snaps of their maps. 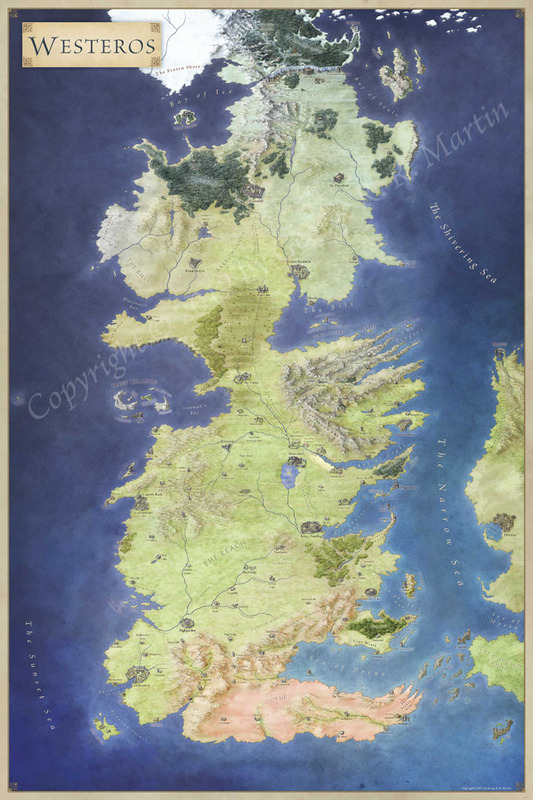 A couple have asked how to take a picture of their map and clean it up a little. This mini tutorial should help with that. The basic idea also works for cleaning up scans, and the techniques are useful in a whole range of places (you can find a version of this geared to Gimp users here). Here you can see the bottom left of the image was darker. The more uneven the lighting, the harder you’ll have to work later, so it’s worth taking 5 mins to get this as even as possible. So here I’m using photoshop. However any tool that allows you to adjust the levels in an image (even preview on the Mac – and all photo editing software) can do this. You may even be able to do it on your phone to some extent. In photoshop I use the layer adjustments dialog and select Levels. This brings up a histogram of the shades in the images. Here you can see a large block in the middle of the range – these are the paper tones. They should all be right up at the right hand end – in the white region. So, we start by moving the white marker (the white triangle) down into the block, and we see a lot of the areas of the image that should be white turning white. However if we go too far we’ll see a lot of the lines start to disappear! Okay, so the top right looks pretty decent, but the bottom left is still mired in grey. We can’t do a uniform adjustment because we’ll lose detail the bright regions before we gain anything to the bottom left. Thankfully there’s a way around this. The trick is to use layer masks. I create a new adjustment layer (Levels again), and click on the layer mask. To start with it should be all white. Now I take the gradient tool (g) and drag a linear gradient over the area. This creates a gradient where the area I want to target (the bottom left) is white in the layer mask – and the area I want to leave alone (the top right) is black. 3b shows the layer mask blown up a bit bigger. Now when I adjust the levels, I can lighten the bottom left without touching the top right! As most non-uniform lights are diffuse, this form of gradient mask is generally pretty good at handling non-uniform lighting. Don’t try to do 100% of the correction in one go. Create an adjusment layer, edit the layer mask and adjust the levels to clean up. Rinse and repeat a couple of times and you’ll end up with something cleaner than if you try to get all the way to a clean image in one go. Once you have the clean line art, you can do whatever you want! Here I’ve turned the image into a multiply layer (so that only the black lines are visible) and placed it over a parchment background. Then I’ve darkened the sea and changed the colour slightly. The whole process is pretty quick once you’ve done it a couple of times. 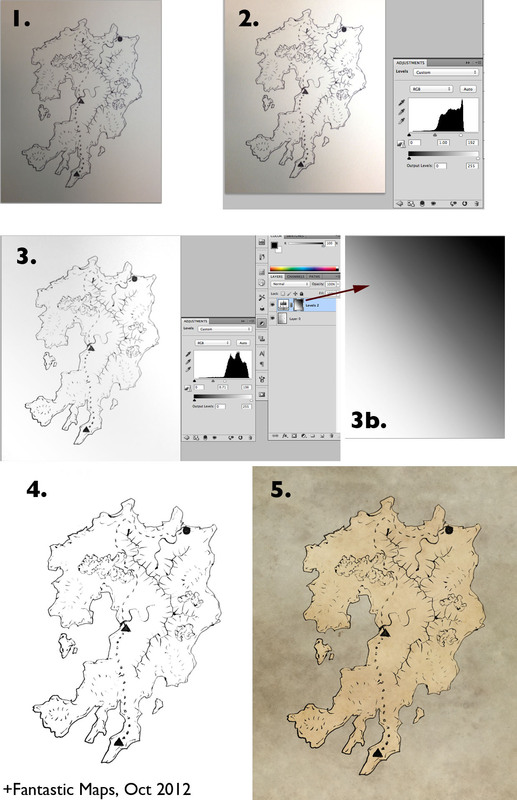 Once you’re happy with it, you can quickly snap a picture of a sketch and have a pretty digital map in 5-10 mins. Let me know in the comments if you have questions.